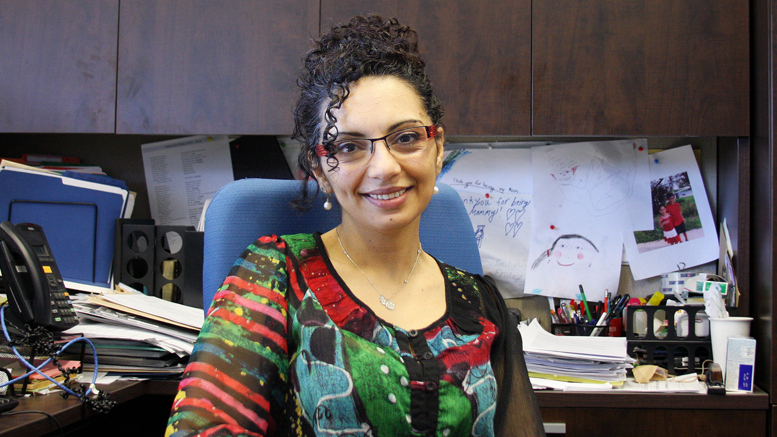 Samar Safi-Harb is the Canada Research Chair in Supernova Remnants and Astrophysics in the physics and astronomy department at the University of Manitoba. Safi-Harb is a highly-regarded professor of physics and astronomy, former NASA employee, and recipient of the YMCA-YWCA of Winnipeg’s 2015 women of distinction award in the category of science, technology and research. But her resume doesn’t stop there. On Feb. 17, Safi-Harb watched the Japanese rocket Hitomi launch, carrying the Canadian Astro-H Metrology System (CAMS), which is laser technology that she helped create. The Manitoban had an opportunity to speak with Safi-Harb about what brought her to Winnipeg and her contributions to the Hitomi satellite. Safi-Harb grew up in Lebanon in the midst of the civil war. She had always had a passion for science, and in particular a passion for physics. While she ultimately ended up studying physics at the American University of Beirut, she had a wide variety of interests and considered several academic paths. “I applied to the faculty of architecture, I applied to the faculty of engineering, and I got admitted to them all. I was always really keen on a lot of things,” says Safi-Harb. Universities in Lebanon do not offer physics past the master’s level, and Safi-Harb eventually left the country to pursue her passion, moving to the United States to attend the University of Wisconsin-Madison. After receiving her master’s and PhD in physics in Wisconsin, Safi-Harb completed a fellowship at the NASA Goddard Space Flight Center in Maryland. “I was at the lab for high-energy astrophysics, which is, […]to do high-energy astrophysics […] one of the best places in the States, and in the world. So I got to continue the research I like to do,” Safi-Harb says. After her time at NASA, it was a new and exciting opportunity that brought her to Winnipeg. “What brought me to this place was the job. There was an opportunity to actually start a graduate program in astronomy […] and teach courses at the upper level in astronomy,” says Safi-Harb. 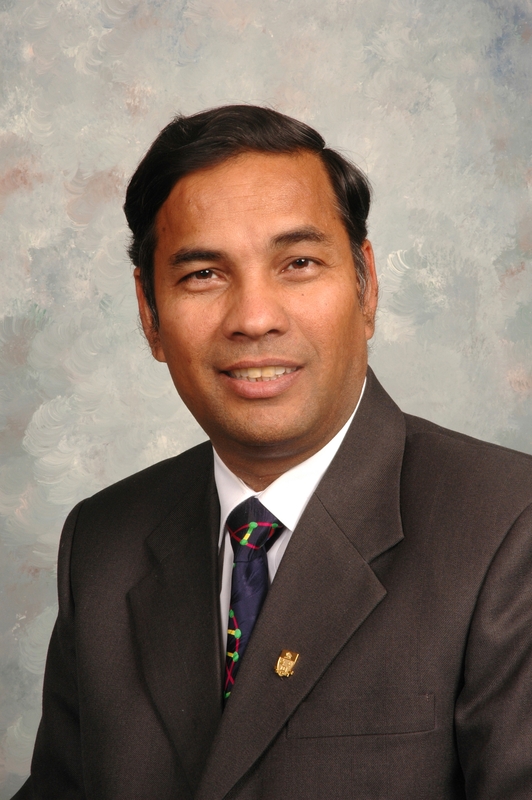 Safi-Harb, along with two other Canadian scientists, worked on CAMS, a system designed for the Hitomi (formerly named Astro-H) satellite. The satellite’s purpose is to collect data using x-rays that could not otherwise be found, and CAMS helps keep them focused. “CAMS is an instrument that helps focus high-energy x-rays,” says Safi-Harb. Keeping the images collected by Hitomi focused is a crucial part of the mission, as it affects the quality of the data collected. “When the satellite is launched in space […] there’s temperature variations, there’s stuff happening that makes it vibrate. The vibration will cause the image to not be well-focused,” said Safi-Harb. This is not the first time scientists have attempted this mission. The mission has failed twice in the past, the second time having occurred about a month after the launch. “It was a very depressing time, because people have worked so hard on this mission,” says Safi-Harb. Scientists will now keep an eye on Hitomi (which actually means “the pupil of the eye” in Japanese) and use the data collected to further study high-energy phenomena. “I am a big enthusiast about high-energy astrophysics, especially for the objects I study, because I’m interested in extreme phenomena – things that you could never achieve on earth,” says Safi-Harb. Safi-Harb has done extensive research on supernovae and their remnants, and she hopes that the Hitomi satellite will help bring new light to the explosion of stars. She also believes that the data collected from this experiment has significance to all people, even if they are not involved in scientific study.